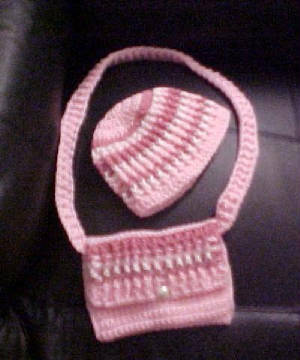 The central picture is the hat and purse I created for my granddaughter, Brittany. Christy made the one on the left and Patt the one on the right. I am so happy my pattern testers did such a great job! 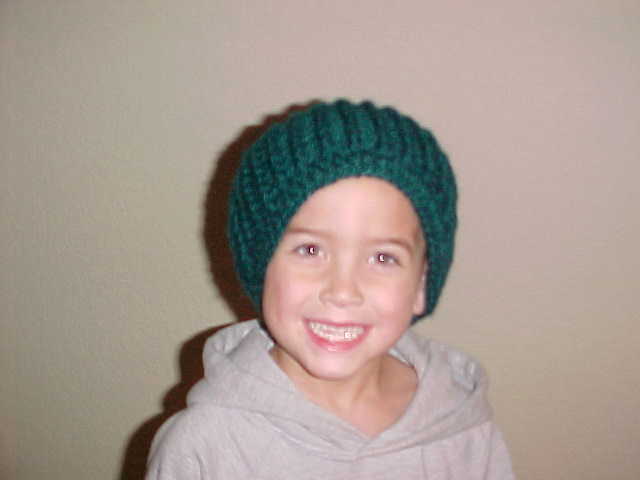 My great-nephew, Trey, wearing a solid green version of the Brittany hat. 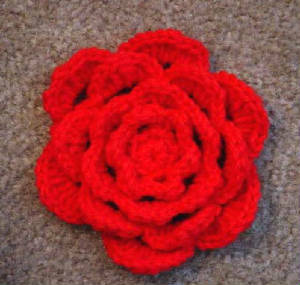 A gift for a special lady. 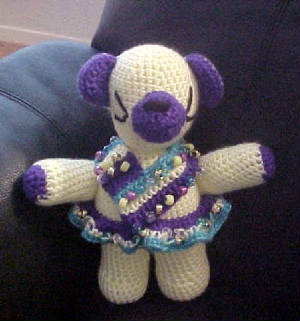 A special bear for CGOA. 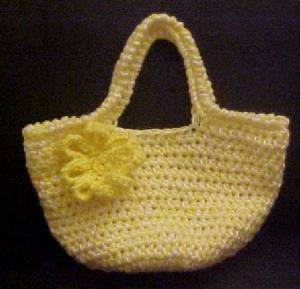 Yellow tote adapted from a Marlo Cairns pattern. 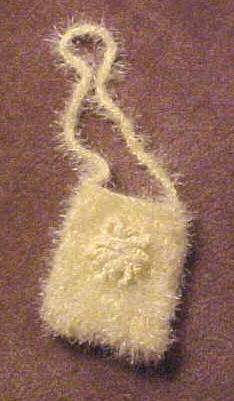 Made with yellow and white yarn and a flower of my own creation. 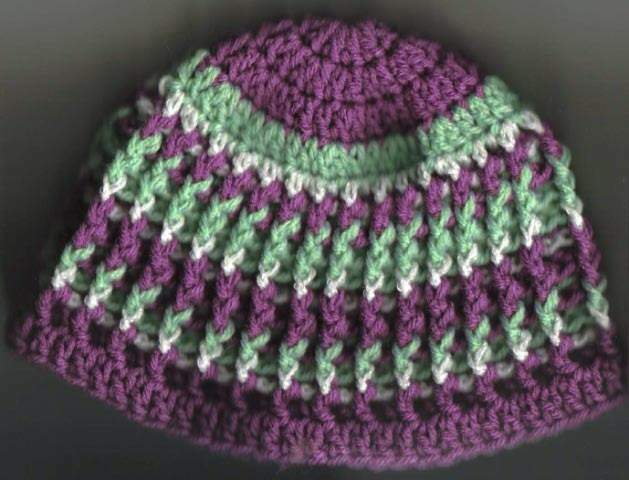 Baby set for my principal's new baby. 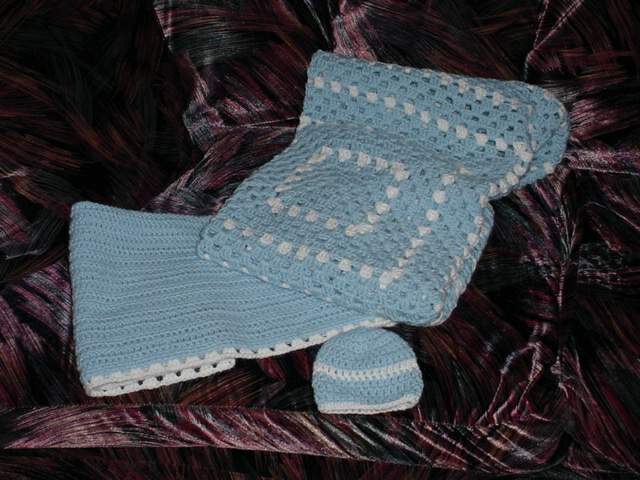 Crib blanket, car seat blankie and hat to match. 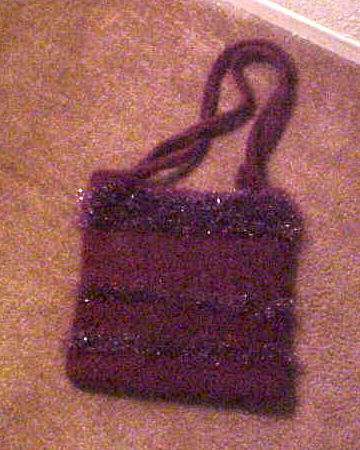 Retro purse and cell phone case for gift exchange at Valley Forge, made of Paton's Divine, Moda Dea Wild and Moda Dea Dream. 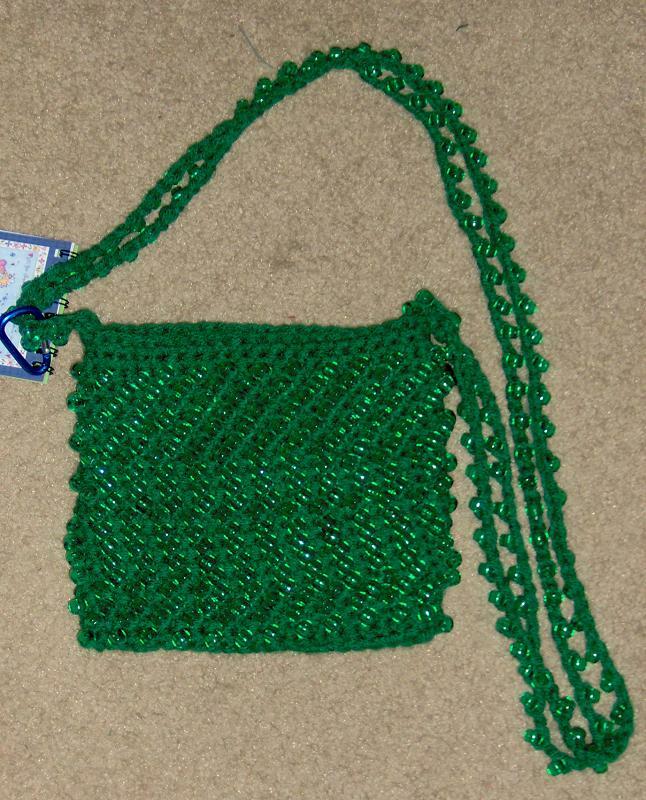 I made this purse at the CGOA conference with nylon twine I got while visiting my roomie in Ohio. 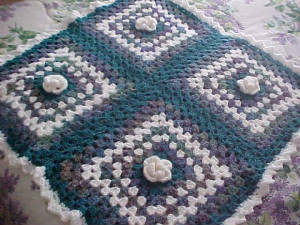 The button was purchased at the yarn market- I love glass buttons! 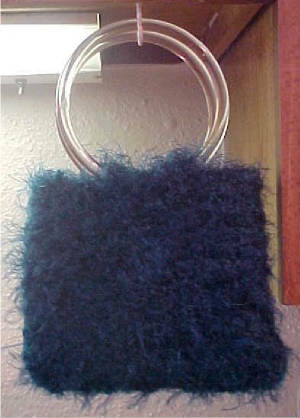 This felted tote bag is made from Lopi yarn from Iceland and Trendsetter yarn "Aura"- it sure sparkles!! 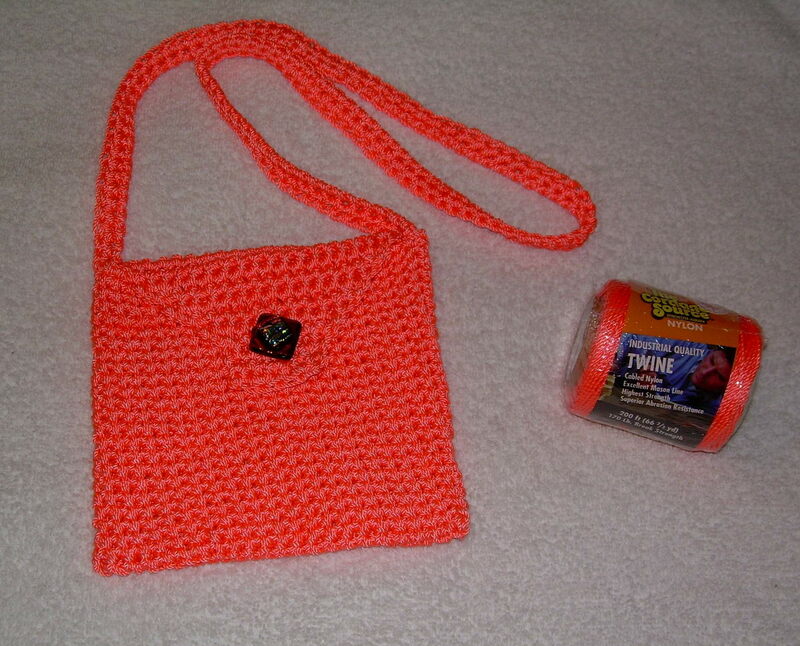 Materials needed: Red Heart Super Saver yarn, worsted weight, color of your choice, 4 oz. 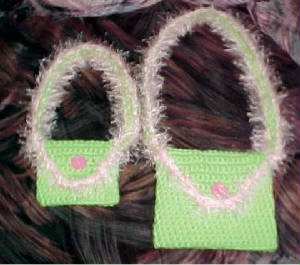 ; size “H” crochet hook, pony beads -650. Gauge: not important, finished size approximately 6.5 “ wide by 6 “ tall. 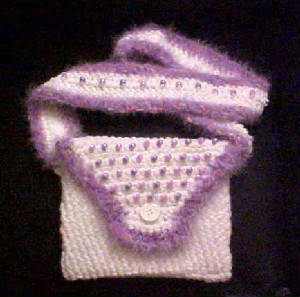 Stitches: chain (ch), single crochet (sc), bead single crochet (bd sc), slip stitch (sl st). Ch 25, sc in 2nd ch from hook and in each ch across (24 sc), continuing around to other side, sc in unused loops of chain, for a total of 48 sc. Round 1: Sc in each st.
Rounds 2-19: *Sc in first st, bd sc in next st* around. Continue this for a total of 19 rounds. 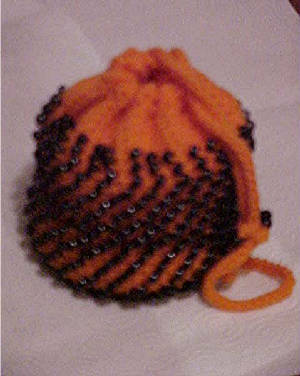 Use a stitch marker to keep track of the beginning of each round. Rounds 20-21: Sc in each st for the final two rounds of the purse. 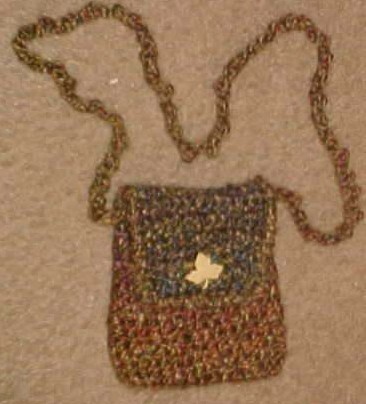 Thsi small purse was creted with leftover yarn from a Martha Stewart poncho. 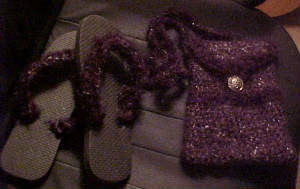 The flip flops and purse were made with a combination of moonlight mohair and homespun in the gothic color. 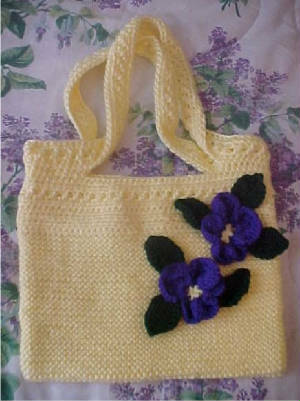 My knit and crocheted totebag was made of double-stranded Caron Simply Soft and is decorated with purple pansies from an Annie's Attic pattern book for slippers. 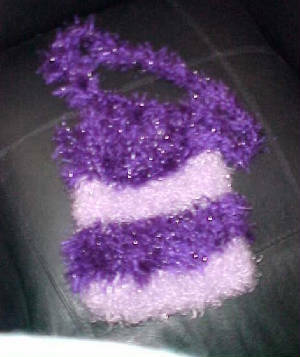 A friend asked me for help making a simple purse with a combination of homespun and fun fur. 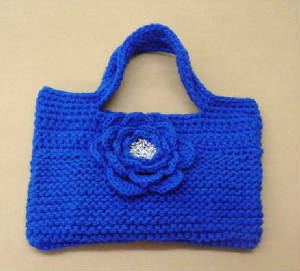 I made one along with her-it is small- 6 X 8 inches in all- but cute as can be.